As the saying goes, “All roads lead to Gettysburg.” Look at a map from 1863 or today, and you can see that major roadways in south-central Pennsylvania all intersect in Gettysburg. 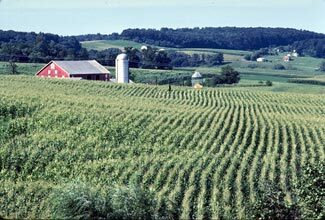 As we approach the 150th Anniversary of the Battle of Gettysburg, July 1-3, 2013, we are in the midst of the 150th anniversaries of lesser-known events happening throughout central Pennsylvania and Maryland, on the road to the Battle of Gettysburg. It was my pleasure and privilege to research and write historical profiles of the regions surrounding Gettysburg, documenting their connections and events leading to the Battle of Gettysburg, for the Celebrate Gettysburg Dining & Entertainment Guide. Enjoy these windows into American history, which happened exactly 150 years ago, below, and click here to visit the guide’s full digital edition. A few days after the surrender of Fort Sumter to Confederate troops in April 1861, President Abraham Lincoln met with several key Pennsylvanians—among them, Col. Alexander K. McClure, a Chambersburg lawyer and newspaper editor—and asked for help in securing 75,000 troops to defend the Union. By the end of April, Chambersburg was preparing for an attack from Maryland, a slave state, but one that did not secede from the Union. Although that attack did not come, troops began camping in the Chambersburg area, reaching 20,000 by June and establishing Franklin County as a key military staging ground. In June 1863, Confederate troops began gathering in Greencastle, Franklin County. On June 22, hidden Confederate troops fired on two Union soldiers, striking and killing one—Cpl. William Rihl—making him the first Union soldier killed on Pennsylvania soil as well as the first Union soldier killed north of the Mason-Dixon Line. Confederate troops continued to pour into Franklin County where horse and cattle raids ensued, the Confederate flag was flown atop the county courthouse and the Caledonia Ironworks, owned by abolitionist Thaddeus Stevens, were set afire. By late June, Confederate commander Robert E. Lee and General A.P. Hill camped in Franklin County with 60,000 troops. Lee first ordered soldiers northward toward the state capital in Harrisburg, but he redirected troops eastward to protect communication and supply lines to Virginia by intercepting Union troops. That fateful meeting would happen several days later in Gettysburg. The Union Army depended heavily on Pennsylvania’s capital region for transportation, troops and supplies. Several times during the war, Pennsylvania Gov. Andrew Gregg Curtin ordered militia to organize and defend the Commonwealth from the Confederate Army. In September of 1862, 50,000 men overflowed from Harrisburg’s military camps into the city, as they anticipated an attack. But a Union victory at Antietam meant Harrisburg’s militia could be disassembled until the need arose again in June 1863. Troops even camped in Harrisburg’s hotels, private homes and on the capitol grounds; the capitol building served as a barracks. Again a Union victory, this time at Gettysburg, sent Pennsylvania’s militiamen back home. In 1865, Harrisburg was the scene of an unprecedented event honoring black soldiers. In late May, the Grand Review for Union armies in Washington, D.C. honored Civil War veterans as they marched past President Andrew Johnson. However, the 180,000 African-Americans who served in the Union Army were not invited. On November 14, however, black veterans held a parade in Harrisburg and were reviewed by U.S. Senator and former secretary of war Simon Cameron. Pennsylvania was the only state to honor black Civil War soldiers. Many Underground Railroad routes crossed the Mason-Dixon Line into central Pennsylvania, including one known as “The Pilgrim’s Pathway.” Slaves traveling north along the Susquehanna River through Maryland entered Lancaster County, Pennsylvania and then followed a series of creeks and farm roads, one of which is still named Pilgrim’s Pathway. Large black populations resided in Columbia and Lancaster, where many white residents supported the abolitionist cause. Lancaster’s Bethel A.M.E. Church, a station on the Underground Railroad, helped send fugitives on to Philadelphia or further north into Canada. York County contained valuable assets targeted by the Confederates, including a key railroad intersection, Hanover Junction. The 35th Battalion, Virginia Cavalry, cut Hanover Junction’s telegraph lines and destroyed more than 20 railroad bridges plus sections of track on June 27, 1863. This temporarily disrupted Union communications and supply movements. A day later, York became the largest Northern town captured by the Confederate Army. The mayor and town leaders surrendered the city to Maj. Gen. Jubal A. Early and 5,000 troops. The Confederates allowed residents to move about freely in an agreement of peaceful occupation. 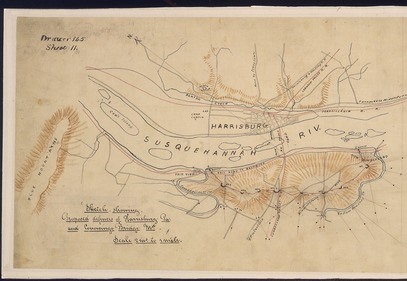 Having gained a foothold in York, the Confederates hoped to capture Harrisburg or Philadelphia next. 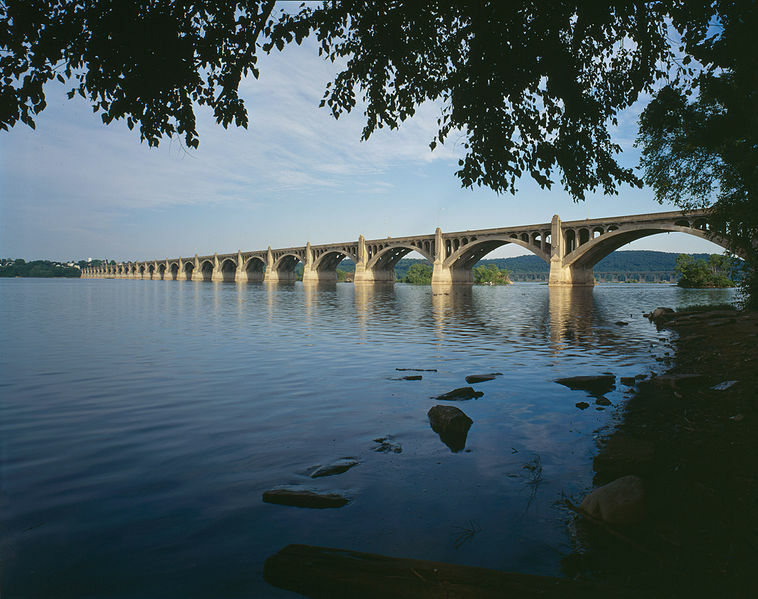 To travel eastward toward Philadelphia, they would need to cross the Susquehanna River at Wrightsville, York County and continue into Columbia, Lancaster County. Pennsylvania militiamen from Columbia joined forces with Union troops retreating from York, along with the first African-American company from Camp William Penn outside Philadelphia. Standing their ground on the Lancaster County side of the river, 1,500 men were waiting when Confederate Brig. Gen. John Brown Gordon arrived on June 28 with 1,800 troops. The Union could not maintain their position along the river and, retreating to Columbia, they decided to blow up a section of the bridge, halting the Confederates in their eastward quest. When the explosion failed, troops were ordered to burn it instead. The bridge, engulfed in flames, could not be saved by Gordon’s men and Confederate troops were not only relegated to York County, but recalled to the town of York. On June 30, 1863, the day before fighting broke out in the Battle of Gettysburg, York County’s Battle of Hanover just to the east may have been a determining factor in Gettysburg’s outcome. Maj. Gen. J.E.B. Stuart’s cavalry was riding, studying Union troop movements and gathering information for Gen. Robert E. Lee. As Stuart approached Hanover, he encountered Union cavalry led by Brig. Gen. Judson Kilpatrick, including Brig. Gen. George A. Custer’s brigade. Coincidentally, Custer had just been appointed brigadier general the day before. After severe fighting in Hanover, Custer’s troops helped push Stuart’s men out of town and even delayed Stuart from merging with Early’s troops, traveling from York towards Gettysburg. Stuart did not arrive in Gettysburg until July 2 in the late afternoon. Following the Battle of Gettysburg, York County’s railroad bridges were repaired in time for nearly 16,000 wounded men to be transported through Hanover Junction a few days later on their way to hospitals. More than 60,000 soldiers marched through the rolling farmland of Carroll County to arrive on the northern side of the Mason-Dixon Line and engage in the Battle of Gettysburg, July 1-3, 1863. The Union’s Army of the Potomac had established its rail head and supply base in Westminster, site of the recently completed Western Maryland Railroad depot. Residents were accustomed to seeing Union troops and supply wagons, but by June and July of 1863, that scene shifted to soldiers from both sides of the war traveling towards Gettysburg’s pivotal battlefields. Maj. Gen. George G. Meade, commander of the Army of the Potomac, devised a plan to protect Baltimore and Washington, as Confederate troops converged on the region. The “Pipe Creek Plan” placed Union troops in Carroll County’s hills outside Manchester along Pipe Creek, which flows west across the county, serving as a defensive shield and safeguarding these two critical cities. On June 29, 1863, a clash between Gen. J.E. B. Stuart’s cavalry and the Union’s First Delaware Cavalry may have played a significant role in the outcome of the Battle of Gettysburg. The skirmish, known as “Corbit’s Charge” after Capt. Charles Corbit of the First Delaware, delayed the general’s march and forced him to spend the night in Westminster rather than continuing on toward Pennsylvania and advising Gen. Robert E. Lee of major Union troop movements. Stuart did not arrive in Gettysburg until July 2, the midpoint of battle. Maryland’s first major Civil War battle—the Battle of South Mountain—took place in Frederick County on September 14, 1862. Gen. Robert E. Lee had invaded Maryland on September 4 with hopes of crossing the Mason-Dixon Line into Union territory. His strategy was to gain a victory in the North, which might persuade Great Britain and France to side with the South or convince Northerners to sue for peace. With his army positioned in Frederick, Lee sent a number of troops to the west to capture Harpers Ferry. On September 13, Union Gen. George B. McClellan obtained a copy of Lee’s plans and realized the Confederate army was divided and vulnerable. McClellan, stationed around Washington, D.C., mobilized his men quickly. The Battle of South Mountain took place on three mountain gaps. A Union victory dashed Lee’s plans of crossing the Mason-Dixon Line; however, Lee quickly regrouped for the Battle of Antietam, fought three days later in nearby Washington County, Maryland. Frederick County served as a staging ground for both Confederate and Union troops before and after the Battle of Antietam, as well as the pivotal Battle of Gettysburg in 1863. Already a key commercial and industrial hub at the time of the Civil War, Frederick County also evolved into a major hospital center due to the proximity of the major battles that occurred within and just outside the county lines. The Battle of Antietam on September 17, 1862 became known as “the bloodiest one day battle in American history.” Confederate Gen. Robert E. Lee was in the midst of the Maryland Campaign of 1862, his first invasion of the North. His goal? To liberate Maryland, a state divided in its loyalties. Maryland was a Union state yet remained a slave-holding state. Following his defeat at the Battle of South Mountain in nearby Frederick County on September 14, Lee considered retreating to Virginia. However, news came that Maj. Gen. Thomas “Stonewall” Jackson had gained control of Harpers Ferry, just to the west, on September 15. 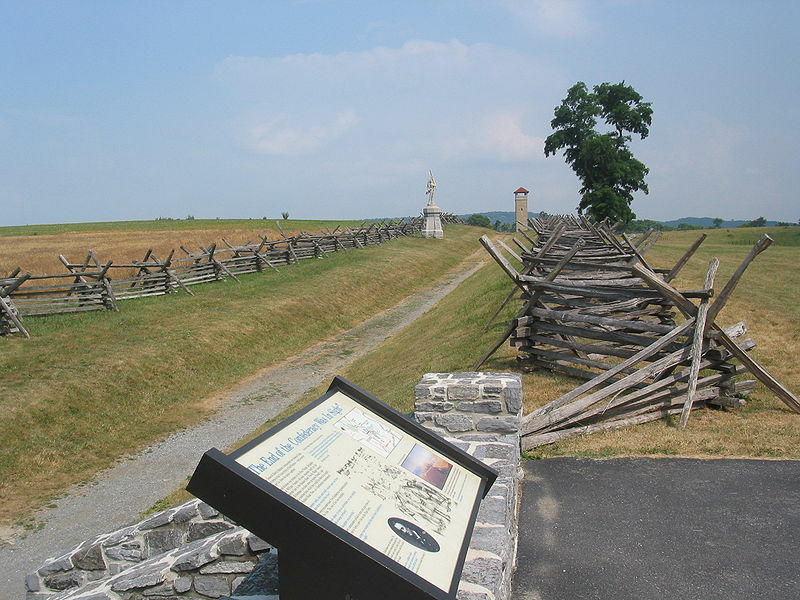 Lee decided to make a stand at Antietam (Sharpsburg). The clash between North and South at Antietam lasted 12 hours and left 23,000 soldiers killed, wounded or missing. Both armies stubbornly maintained their positions as the sun set, but the following day, Lee retreated back to Virginia and provided President Abraham Lincoln with the opportunity to issue the preliminary Emancipation Proclamation. Ironically, six brigadier and major generals—three from each side—were killed during the Battle of Antietam. Twelve generals were also wounded—six from each side. Adding to the coincidence, two generals were killed at the Battle of South Mountain three days prior—one Union and one Confederate. All told, the two battles resulted in 20 generals either killed or wounded—10 from each side. Hagerstown, Washington County, served as a military staging ground several times during the Civil War because it was located at a regional crossroads just north of the Potomac River. Confederate Gen. James Longstreet’s troops occupied the town prior to the battles of South Mountain and Antietam in 1862. 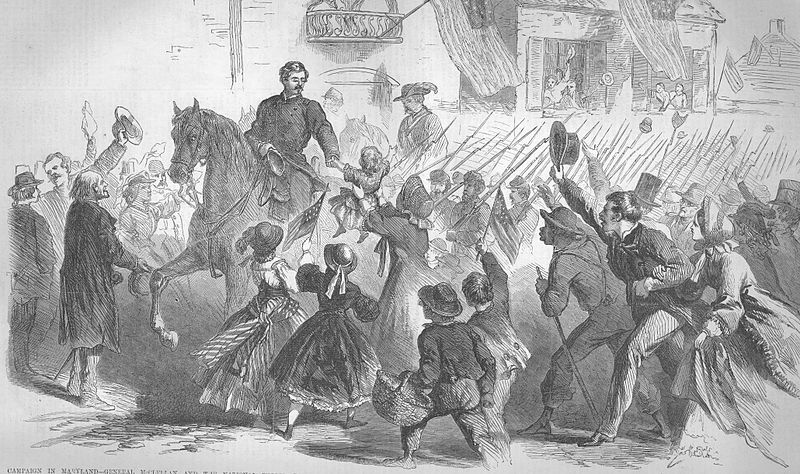 Lee’s army invaded Hagerstown before and after the Battle of Gettysburg in 1863. Many doctors and residents ministered to wounded soldiers from both sides of the war, at numerous locations throughout Hagerstown. On July 6, 1864, Confederate Gen. Jubal Early sent Brig. Gen. John McCausland to Hagerstown to issue a ransom of $20,000 plus a large amount of clothing. The money was produced through a cooperative effort by three banks and the city council, with residents and businesses producing a huge quantity of clothing. Hagerstown was spared from being set afire.